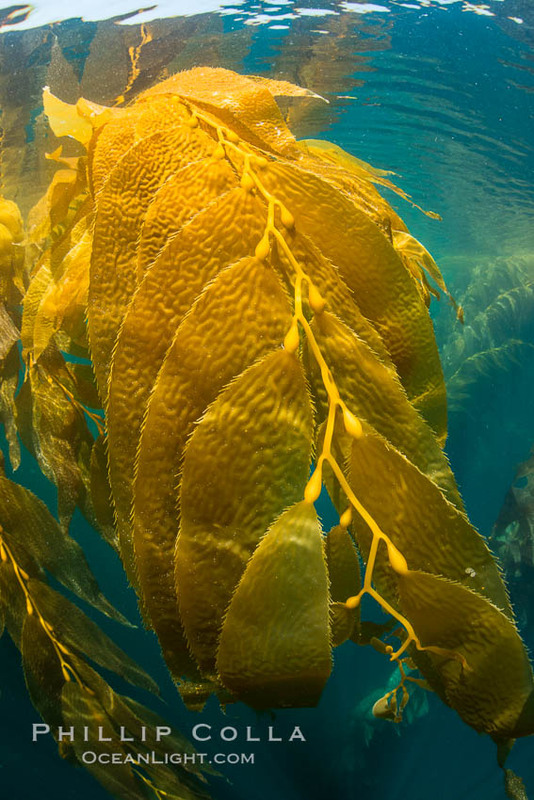 I have been photographing kelp forests in California with a passion for 25 years, from the Mexican border on up to Monterey including all the Channel Islands. Usually when I go diving in kelp its to San Clemente Island, which arguably has the most beautiful underwater scenery anywhere in California. 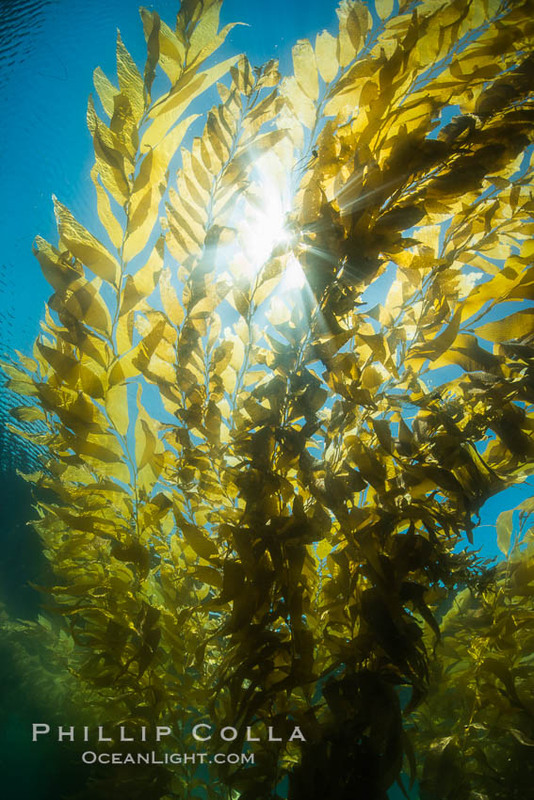 In doing so I have bypassed the large tracts of giant kelp (Macrocystis pyrifera) just offshore of La Jolla and Point Loma because the water is just not as clear as I would like in those places. 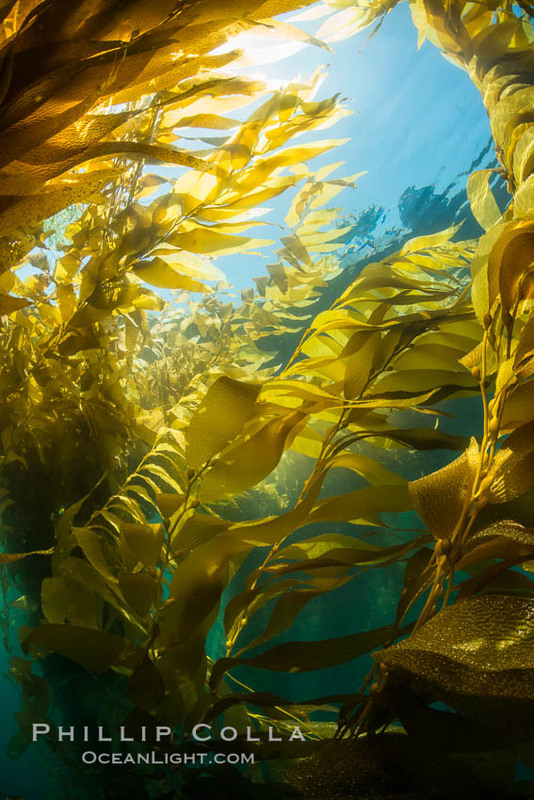 During the last couple years, however, the kelp forests at San Clemente Island have thinned out incredibly due to overly warm water, while those along the coast are still thick and healthy. 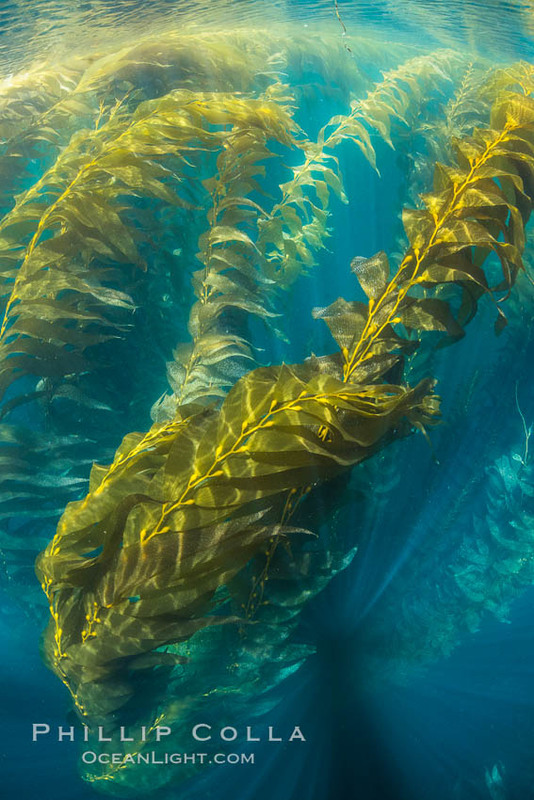 Recently while out with a friend on his boat, I was able to do a little freediving in the kelp beds just off Point La Jolla and managed to get some nice photographs. 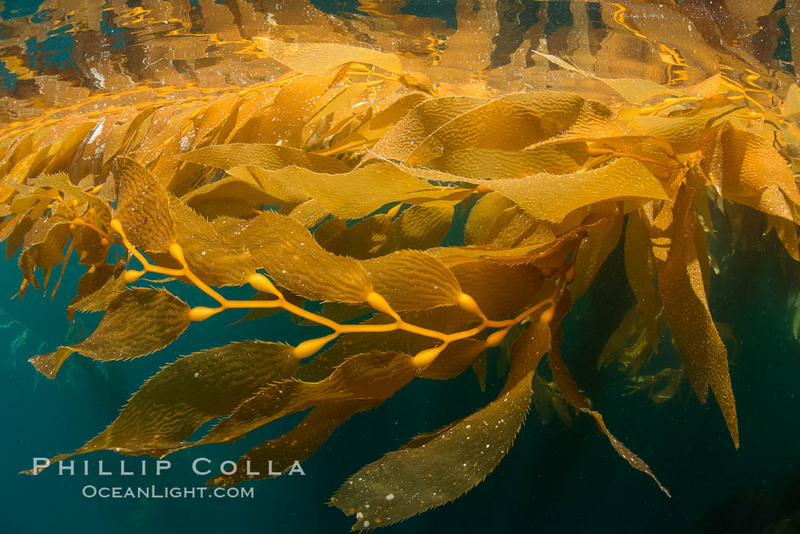 The light was great, the visibility “good enough” and I was reminded again just how beautiful a healthy kelp forest is. As is done with a lot of my underwater photography, these images are made with only the available light — no strobes or tricky equipment. In other words, this is what you would see if you put on a mask and fins and went for a swim off in the kelp beds off Alligator Head or Children’s Pool. Cheers, and thanks for looking!